Policy failures or political intended mistakes. Elected Presidency is a policy failure as claimed by Kishore Mahbubani#1. It is just too simple to just call it a policy failure after nearly 30 years later. Of course, we may call it an intended political mistake. It was designed to make rooms for improvements or reform at the first place, as in the case of the opening speech of President Tony Tan at 13th Parliament. To the PAP, it hardly is a failure or a mistake. The design of EP is politically intended to blur the voters. All creative political designs under the PAP are for the party, not Singaporeans. As times change, the PAP’s EP winning chances get threatened, they will have to find new solutions. So do the schemes for non-constituency members of parliament, Group Representation Constituencies and nominated MPs. 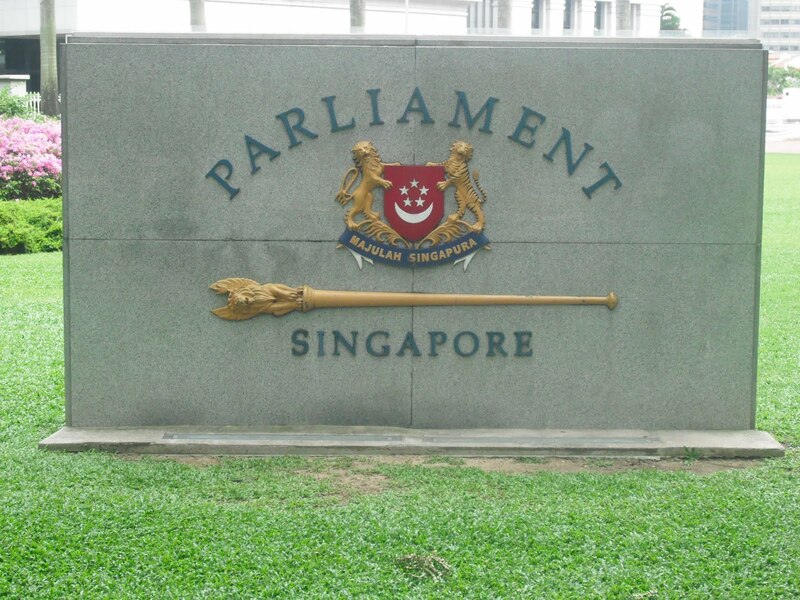 The so-called political reform is another tool to strengthen the one-party rule in Singapore. And their excuse is the PAP has the strong mandate. Even this so-called 'strong mandate' is man-made. The PAP knows it too well. Hence, they have to plan ahead to change the rules of the political game. When the new parliament begins to debate on EP issues, we should check and compare the validity of the PAP positions now and then. Singaporeans should open their eyes ‘big and wide’ to see the logic behind the suggested improvements. Kishore Mahbubani at least admits EP (and stop at two) is a policy failure and prefers a minority race to be President elected by the Parliament - the old bottle. This means all 2011 EP candidates cannot stand again as they are Chinese. This will push the history back to 1988, when there was a TV debate on EP. Will the PAP engage the oppositions again to another TV debate on their proposed reform or improvement on our political system? Enough is enough. The PAP better spends more times thinking about the future of Singapore, rather than fixing the oppositions. Before general election, the PAP made it an issue. After the election, the PAP continues to play the card. They have also missed the opportunity to soften their position when a new minister takes over the National Development Ministry. Perhaps, the new minister still has to report to the coordinating minister for infrastructure, who happened to be the former minister of the ministry. The Courts is a reluctant party in this case. Aljunied and Hougang voters have made their decision clear and they want Workers’ Party to manage their towns. Has this been acknowledged and recognised? Even WP’s majority is reduced, it is still a win. Does the PAP know the meaning of democracy? The PAP government should concentrate and put their efforts planning the future of Singapore, conducting pro-Singaporean science and research funding (as they just announced and claimed), and providing suitable skill upgrading programs for all ages. It seems they are only interesting in catching small fishes, rather than their big budget projects. Comparing to these billion-dollar projects, town council funding or subsidy is really a peanut. (If you recall, someone described the salary of NKF’s CEO was a peanut.) The law will come after you if you mishandle the town council management and accounts, just like the NKF, Ming Yi, City Harvest Church, etc. If we worry about the ‘peanut’ budget of a town council, then we should be more worry about the big budget projects, like the National Research Foundation, SkillsFuture Credit, GIC, Temasek, etc. Are they as transparent as town council management? Who are they reporting to? Singaporeans will have to pay dearly if they are moving in the wrong direction, not necessary irregularities. There are many urgent things have to be fitted in Singapore. In this Singapore Business Federation paper (below), we can see this urgency. They claim Singapore is at the crossroads. I may not totally agree with the viewpoints of SBF or Global Trends. However, they are the wake-up calls for all the good past practices. It is very likely we will face structure breaks. The PAP is well aware of it. They just refuse to present the truths and the whole picture to Singaporeans. With the help of the controlled media, they want to present their side of stories and takes advantage of the situation. SBF urges the government to make decisive changes after having the strong mandate in last September general election. It means they want changes in the economy. Whether this is for the own good or not, we don’t know. However, we are quite certain old SG50 practices will have to change. Not only in the business sector, in politics, society and human relationship all will have to face the structure challenges. Strong mandate does not mean you only listen to business leaders and ignoring others. Singapore will not progress if the PAP government continues to fix the oppositions and society. Structure breaks will come sooner or later whether the PAP likes it or not. Eunoia: A Beautiful and Caring Life Brand Planning? Eunoia Junior College. the new EJC, as reported is a combination of ‘beautiful thinking’ and ‘goodwill towards others’. Singapore educators think very hard to give EJC students a head start in their Life Brand planning. They want to project them as thinkers and caring people. Currently reading “Build your own life brand” #1 by Stedman Graham, a discarded book which I picked it up outside SIM library. The book discussed about the importance of personal brand planning. Individuals have to build and develop their own paths - life brand. Life brand planning is quite similar to Confucius teaching. Education starts from young, from the very basic behaviour of being an honest, upright person to serving the country without fear. Eunoia has 2 SAP schools and they seem to totally forget the basic - a confirmation bias of ignoring ‘thinking and caring’ in Chinese education. The world is in transition from the West to the East. China will soon be the number one economy in the world. I have read the new year messages of President Xi, President Ma and PM Lee. You can feel the different perspectives. All 4 key points mentioned by PM Lee are history. Yes. We can give our students a head start in their life brand planning, like Eunoia. If every school is a good, all students should receive some kinds of life branding. However, we have to admit not all parents are equal. Some parents have long-time ago planned their children’s future, either being a scholar, professional or an overseas education. Study shows that the greatest investment return in education is in primary education. If children have no basic knowledge, they will not be able to engage in life brand planning. Without proper and basic knowledge, it will be hard to ‘create a life that flows’. Flows are sources of creativity and innovation. Is the name “Eunoia” a magical positive psychology for creating thinking and caring for society? It is too early to tell. When the country faces injustice or external threat, will the graduates of EJC stand up for Singapore using their beautiful thinking and empathy? Another hard question, isn’t it? Today is the first day of the year. Start your life brand planning now, don’t wait for Eunoia.